Coach Morgan McDonald has been hired as the Program Director and Head Coach of all age groups with her emphasis being the High School and Middle School. She has proven results and is well connected throughout the national lacrosse community. Morgan has built programs from the bottom up. She has won 2 State Titles in 2 different states and is the only coach in history to complete this achievement in 2 years. Coach Morgan has also coached at the highest academic and athletic level of Division 1 schools, Dartmouth College. Lastly, for any players with aspirations of playing lacrosse in college, Coach Morgan has placed more than 40 girls in programs of all levels, including some of the top recruits in the nation. Her relationships with collegiate coaches throughout the US allow her to find the best fit academically and athletically for players wanting to play at the next level. We are excited to have Morgan join the Dragon Nation and hope that you will join us in welcoming her to our community. Bruce has been a member of the lacrosse coaching staff at the University of North Carolina-Chapel Hill, as an Assistant Coach to Head Coach, Joe Breschi, from 2016 through 2018. Bruce also served as the Director for 3D Northern California from 2014-2016, and the Associate Head Coach at Quinnipiac University in Hamden, Connecticut from 2005-2014. Bruce also spent two (2) seasons on the staff at Fairfield University. As a player, Bruce was a goalie at DIII Eastern Connecticut State University. He brings a deep passion for the game and a reputation for building strong relationships with his players. - Joe Gillis, a former D1 player for Syracuse University and Zach Price, a former D1 player for High Point University, both now in the MLL with The Dallas Rattlers. Shaun joins the SCLA with almost 30 years of lacrosse playing and coaching experience. Growing up playing in the Long Island lacrosse hotbed of Garden City, NY and top ten nationally ranked Chaminade High School, he was a four-year starter at midfield for NCAA Division I College of the Holy Cross in Massachusetts, earning Academic All New England, Patriot League Honor Roll, and the John H. Price award for outstanding dedication to academics, varsity lacrosse, and the Worcester Big Brothers Program. Shaun was also selected to play in the New England Intercollegiate Lacrosse Association’s East-West All Star Game. He continued his playing career post collegiately in the American Lacrosse League (formerly US Club Lacrosse Association) and in a number of national club tournaments. While Shaun attended law school at St. John’s in NY, he was selected as a free agent by the Long Island Lizards of Major League Lacrosse. Shaun has coached at numerous lacrosse camps and clinics including World Class Lacrosse Camp (CT), Player’s Choice Lacrosse Camp (MA and RI), Check Mate Lacrosse Camp (NY) and Holy Cross Lacrosse Camp (MA). He was an inaugural coach of the Long Island Express boy’s high school select club team, and served as an assistant coach for three years on Chaminade High School’s undefeated JV Team. He also served as the Head Coach of the Westport, CT boy’s 8thgrade A Team for 4 years and as an assistant coach for Wilton, CT’s youth girl’s program. 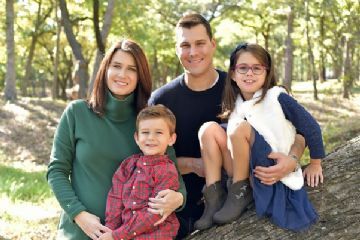 Shaun and his wife Lindsay have a second grade daughter Madison, and four-year-old son Gavin. They are delighted to be a part of the Southlake community and the SCLA, having relocated to Southlake in July 2017 from Wilton, CT. In addition to loving spending time with family and friends, away from the field, Shaun is an avid NY Giants fan (sorry!) and serves as Deputy Chief Compliance Officer and Head of Surveillance for the Dallas-based hedge fund Carlson Capital, LP. SCLA is blessed that Coach Stephanie Schenkel is continuing to work with our SCGL program in 2018-2019. Coach Stephanie will be focused on new player development and the Youth teams from 6th grade and below. Stephanie's approach and technique with new players is unmatched as we have watched her take girls that have never played the game of lacrosse and had them ready for a game within 2 weeks. Her style with young girls and her passion and enthusiasm for the sport are infectious. 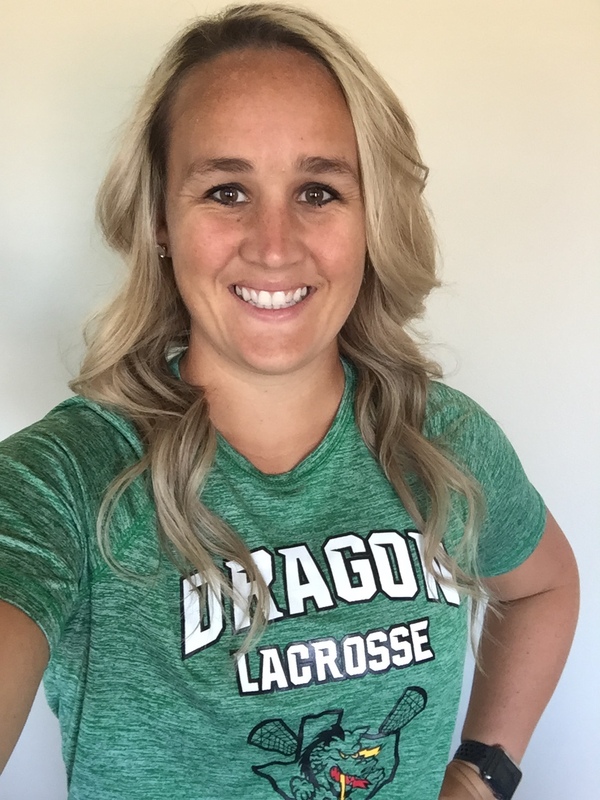 Stephanie is a US Lacrosse Level 2 Certified Coach and played this summer representing the US Women's Lacrosse team at an international lacrosse tournament in Prague. Stephanie comes to us from Tennessee, by way of England, where she has spent the last year helping to grow the game of Women’s Lacrosse. Stephanie won us all over with her positive attitude, love of Lacrosse, thought process, and passion for teaching young ladies. She is going to do great things for Southlake Lacrosse and all of North Texas Lacrosse. Stephanie started playing at age 13. Her high school team was rated one of the top three teams in the state of Tennessee all four of her attending years. She went on to play Division I lacrosse for Longwood University. During her time with Longwood, they were crowned NCAA Division I NLC Conference Champions. Along with a champion skill level, Stephanie's coaching experience is vast. She has coached extensively at the high school, middle school, and youth levels. Most recently, Stephanie has coached overseas in the U.K. as a Graduate Sports Fellow at Oakham School and was the Associate Head Coach at DeMontfort University. In just the second year of the program, Stephanie led them to a second place finish in their league. From 2013 to 2016, Stephanie was the assistant coach at Ravenwood High School girl's lacrosse team while she was the head coach at the Woodland Middle School girl's lacrosse team. She assisted Ravenwood High School to the Tennessee State Final Four in 2015 and led Woodland Middle School to Middle Tennessee Champions in 2013, 2014, and 2015. 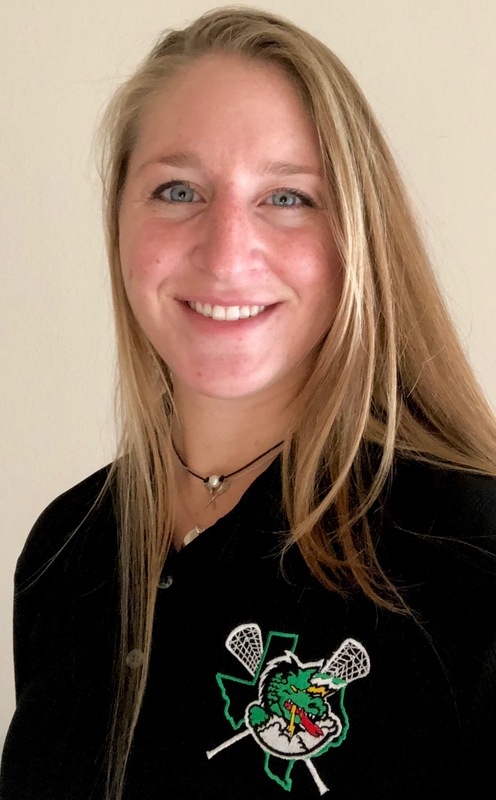 Stephanie also served as the assistant coach for Team Tennessee at the US Lacrosse National Tournament two years in a row where they went undefeated in their bracket in 2015 and 3-1 in 2016 against top players from teams all across the nation. Stephanie brings an overall love of the game and has expressed “if I could play or coach lacrosse 24 hours a day, I would”. Her passion is to grow the game while leading and mentoring young women towards success. In addition to her community coaching positions, Stephanie has started, and coached all levels within, five travel club teams. We are excited to have Stephanie join the Dragon Nation and hope that you will join us in welcoming her to our community for year two! Volunteer Coaches: SCLA has many wonderful season specific volunteers who coach our youth teams. to coach a team, it's a blast!